Keurig is discontinuing its Kold system after just 10 months on the market. Keurig is discontinuing its new Kold brewer and offering refunds to customers who bought the product. The company also said Monday that it will lay off 130 workers, mostly in Vermont where the company is headquartered. Spokesperson Suzanne DuLong said "the majority" of affected employees were involved with Kold's manufacturing or support team, and the workers will receive severance benefits. DuLong added that Keurig is offering refunds to people who purchased a Kold cold beverage maker because they won't be able to purchase new pods after current supplies run out. The news comes just 10 months after the Kold brewers landed on store shelves. Keurig hoped the Kold would revitalize slumping sales of its single-serve hot coffee machines. But signs of trouble for the Kold were apparent by April when retailers stopped carrying the product, and it became available online only. Now the company is humbly admitting the "first generation" product was a flop. But Keurig also indicated it may not abandon the idea altogether. 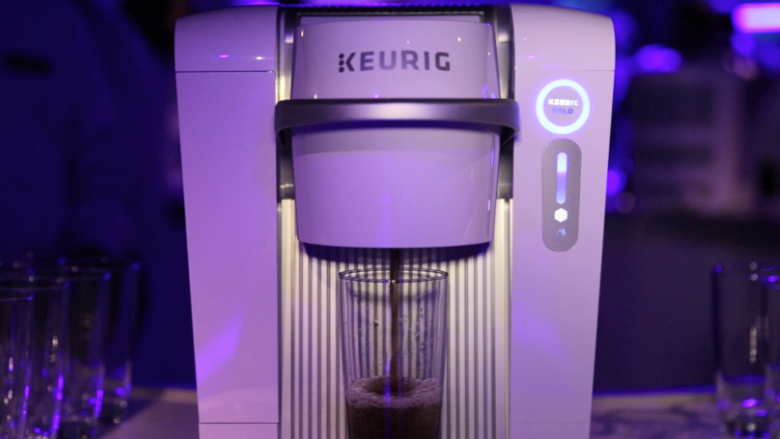 "We learned a lot -- including that consumers are willing to embrace the concept of a system that delivers fresh-made, cold beverages in the home -- and we'll build our learnings into future beverage systems," Keurig said in a statement. At $370, many viewed the Kold machine as overpriced compared to its competitors. SodaStream, for example, offers similar products for $80 to $200. The Kold machine is also larger than the slimline SodaStream systems -- a problem for customers looking to save counter space. 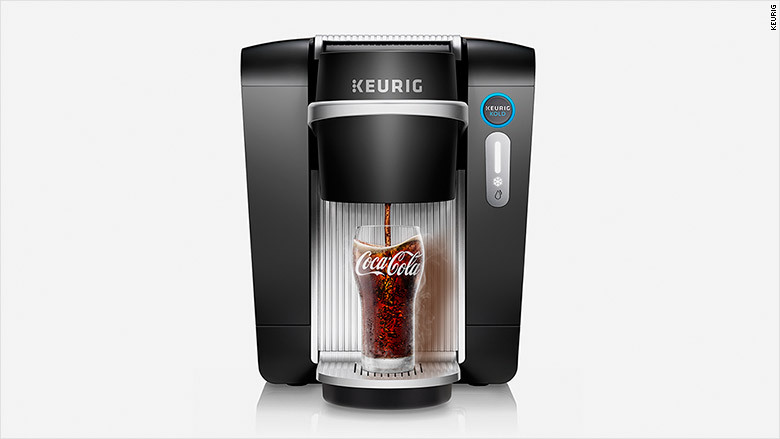 Keurig did have an edge in the market: Its partnership with Coca-Cola (KO) allowed the Keurig Kold to offer consumer favorites like Coke, Diet Coke and Sprite. When the Kold launched last year, Coke called the product a "game changer." That didn't turn out to be the case, but Coke said in a statement that the Kold partnership gave "valuable insight" into the home brewing market. The company plans to continue working with Keurig on cold brewing in the future, though Coke no longer owns a piece of the company. Coke, which had a 17% stake, netted $25 million when JAB Holding acquired Keurig for $13.9 billion in a deal executed earlier this year.